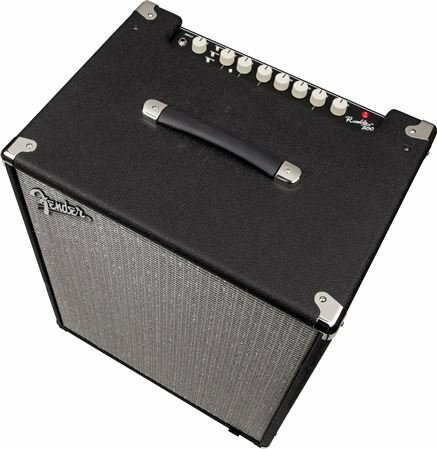 Shop Fender Rumble 500 V3 2x10 Bass Combo Amplifier from AMS with 0% Interest Payment Plans and Free Shipping. Get the power and versatility to tackle any venue and style! 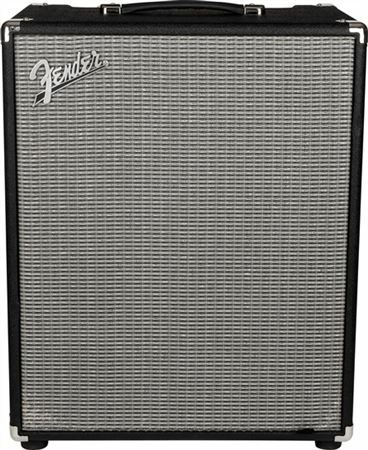 Thanks to 500 watts of thunderous Fender bass tone, the Rumble 500 V3 bass amp has the output to hold down the low end on any stage. Two 10-inch Eminence ceramic magnet speakers are a favorite amongst many bassists for their great clarity, punch and beefy low end. Other features include a headphone jack for silent practice, a footswitchable overdrive circuit and versatile three-button voicing palette for powerful tones ideal for any gig. Awesome amp, love it i work it hard. as practice and stage amp. Awesome no problems use it as practice and stage amp. Preforms Awesome. I am able to get every tone I want out of the Rumble!! I've never owned a fender bass combo before I was a little hesitant because I always thought my Head and Cab were perfect for gigs and home. I can walk out my door with Bass and Combo in hand! For years I've been busting my back as a local musician. Now I walk in and sit and play and this Rumble is powerful! Best product I've bought in a decade! i COULD KEEP GOING ON! Great bass combo. Playing an Ampeg Babybass and a Heartfield DR5 and it can handle both very well. amazing amp, the best I've had in 25 years. Warm fat tone but just the right amount of clean. Great compression! Love the overdrive and voicing. All of this and I can carry it with one hand!!! This is probably overkill for what I needed, but what tone this big boy puts out. Would probably dissatisfied with anything less now. Great sounding piece of equipment! Really happy with my purchase! I went ahead and bought the 500w for 100$ more than the 200w rumble. 100$ for 300 more warts is a no brainer. Great sound. I play guitar but started playing bass. Very happy with this and the pbass I bought to go with it.